Home » Tesla » Demand for Tesla's Dual-Motor Vehicles "Off the Charts"
Demand for Tesla's Dual-Motor Vehicles "Off the Charts"
Tesla Motors CEO Elon Musk has weighed in with one of the most useful updates to date on the company's new dual-motor versions of its Model S. The verdict? One month after it was introduced, demand for the all-wheel-drive version of the model isn't lacking. In fact, demand for the new motor system is incredibly robust. "This is the fastest accelerating four-door production car in the world," Musk explained in a GQ magazine interview published Tuesday, referencing Tesla's new dual-motor option for its flagship 85-kilowatt-hour-battery performance Model S, officially dubbed the P85D. The new dual-motor system with a motor connected to both the rear and front axle is an upgrade offered for the 85-kWh-battery version of the Model S and now comes standard on the performance version. Tesla's smaller 60-kWh-battery version of the Model S is still only available with the rear-wheel-drive one-motor configuration. The dual-motor system is helping Tesla set new standards in the automotive industry. Most notably, Tesla showed off how a dual-motor, all-wheel-drive system gives owners all-weather traction without sacrificing efficiency. Tesla's all-wheel-drive system actually boosts range, top speeds, and acceleration times over their rear-wheel drive counterparts running on the same battery. And now with a zero-to-60 acceleration time of just 3.2 seconds, Tesla is making it harder for premium internal-combustion-engine vehicles to compete. Musk went on to explain in the interview that Tesla built the car to prove a point. "We wanted to position it as the fastest in order to change the public mind-set. It had to be something dramatic. And getting those few extra 10ths of a second was hard," Musk said. He told GQ that the P85D is Tesla's "halo car," or the car that shows off the strengths of electric vehicles. But Tesla's dual-motor system is doing more than just drawing attention to the company. It is apparently convincing a large number of consumers to put in a cash deposit to wait in line for a built-to-order version of their own Model S.
"Demand for the P85D is off the charts," Musk said. "We're seeing a very high proportion of orders for all-wheel drive, either P85D or 85D (which has smaller, equal-sized electric motors front and rear), so 70%-plus of our cars will be dual-motor." Musk went on to reiterate a common theme: Demand is not a problem for Tesla; ramping up production to meet demand, however, is. 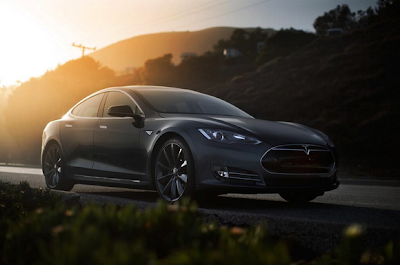 The company is guiding to report record quarterly sales in Q4 and 50% higher annual Model S sales in 2015. But Tesla contends that the company will still not be fully meeting demand, even at these levels. Tesla said in its third-quarter earnings call that with the help of the additional cost for dual-motor versions of the Model S, it expected Model S average selling to improve going forward. This favorable trend likely plays a role in Tesla's bullishness for its automotive gross profit margin to continue to improve in Q4 and into 2015, though the most important factor influencing Tesla's improving gross profit margin is undoubtedly growing sales of its Model S, which spread fixed costs across a larger number of deliveries. While Tesla's ability to set standards and its soaring demand are both great for the company, investors should be careful to maintain proper perspective. Given Tesla's $31 billion market capitalization, the market is already betting on Tesla to be wildly successful in the coming years. Furthermore, Tesla's focused product portfolio and strict emphasis on battery-powered vehicles means that missteps could significantly delay its ambitious plans. On the other hand, it's market-leading pure plays like Tesla with a proven record of execution on growth plans that are probably most likely to exceed market expectations. So, investors who already own shares should think carefully before they sell Tesla stock simply because they think shares are overvalued.